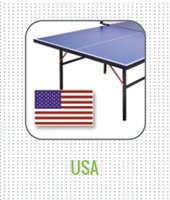 PPD has any type of table tennis table that you could want. All of our tables include free shipping to most locations and a free net set. 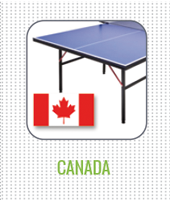 We have ITTF-approved tournament tables, club tables, tables ideal for schools/parks/institutions, indoor or outdoor tables, home tables, and even mini or junior sized tables. Tables available in all price ranges and in stationary, rollaway, 1-piece, 2-piece, and playback styles. We know getting the ideal table is a big decision, so please reach out to us by email or phone if you have any questions or need help in deciding which table is best suited for your needs. Lastly, we also have all the different accessories you need for your table including nets, covers, barriers, scorekeepers, and umpire tables.